Frederick Fleet was born on October 15, 1887, to a woman who abandoned her child shortly after he was born and headed for America, and Fleet never knew who his father was. Without any parents, Fleet bounced around between family members and foster homes under he was 16 years old, and that’s when Fleet decided to board a ship for a life at sea. He started out his career at sea as a deck boy, but then worked his way up to seaman. 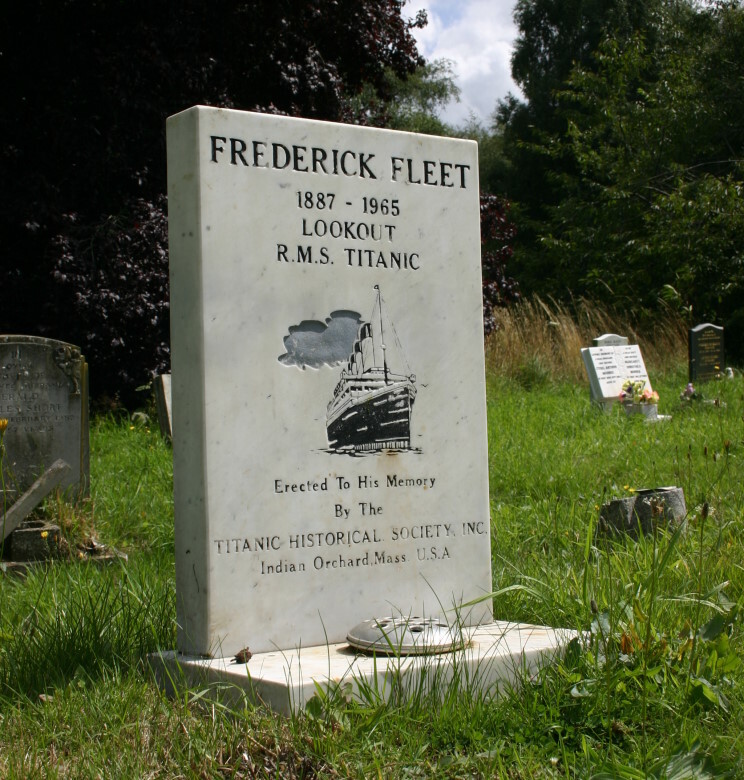 When Fleet was 20 years old, he signed with the White Star Line, and spent four years on the RMS Oceanic serving as the lookout. From Oceanic, Fleet was transferred to the RMS Titanic as one of six lookouts that the ship employed. 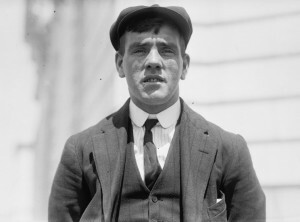 It was Fleet’s job to be in the Titanic’s crow’s nest with his partner, Reginald Lee, and at 10 p.m., the two lookouts climbed up into the thin pipe that lead to the small box high on the mast. The other two lookouts had passed on a message from the bridge, was to keep a sharp eye out for small ‘bergs and growlers. For the next hour and 40 minutes, the two young men kept a sharp eye out on the horizon, but there was a problem. With no moon, and only the light of the stars to see by, the two men were not able to see much. Suddenly, out of the dark, Fleet saw a shadow that blocked out part of the horizon, and when he realized what it was, he rang the crow’s nest bell three times to signal, then let the bridge now what was directly in the ship’s path. The two men watched as the iceberg got closer and closer, and finally, the bow of the Titanic start to swing out of the way, but it was too late and the force of a ton of ice meeting a ton of metal sent a strong jostle through the ship. After the iceberg strike, Fleet and Lee were off the clock at midnight, and now there was a problem because the Titanic was sinking, and Thomas Andrews gave the ship only an hour or two before she sank to the bottom of the North Atlantic. After their shift was over, and two more lookouts replaced them, Fleet and Lee did their best to help launch the lifeboats, and help get the women and children into as many lifeboats as possible. Lifeboat number six was the boat that both Fleet and Lee were helping Second Officer Charles Lightoller loaded up, and when the time came, Fleet plus Robert Hitchens were put in charge of it. After the crew and survivors returned home, Frederick Fleet testified at the Titanic Inquiry, where he stated that if he had been given a pair of binoculars, he would have certainly seen the iceberg in time for it to have been avoided. When the 100th anniversary of the Titanic sinking came around, the graves of the Titanic survivors were decorated with flowers and gifts, and other tokens of adoration. 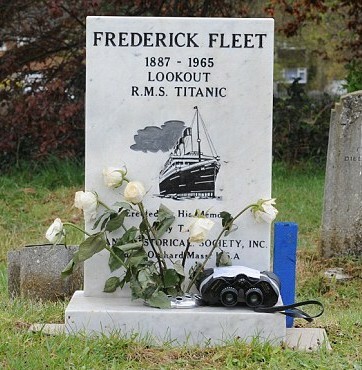 However, on the grave of Frederick Fleet, someone placed a pair of binoculars and a note apologizing for how late these binoculars were given. The British Titanic Society were quite upset at the joke, and spoke out publically about the incident. 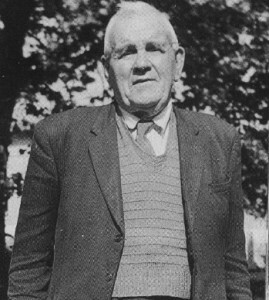 Frederick Fleet eventually married, but his wife died three days after Christmas in 1964. The death of his wife, plus the fact he no longer had a place to live, caused Fleet to fall into a depression that he would never come out of. On January 10, 1965, Fleet was found hanging in his garden, and he was buried in a simple grave that did not even have a stone until the Titanic Historical Society raised enough money to give Fleet the proper headstone that he so richly deserved.